Snow-crowned hills standing beside plunging valleys, pilgrim hubs, adventure options, and cities like Shimla ensuring all the modern comforts; Himachal Pradesh is a mixed bag of experiences that holds something for everyone. If the demands for Himachal tourism packages is any measure travelers are enthusiastically responding to its call. Sample a mix of the hills, nature and urban comforts in Shimla, explore some revered sites in Manali and test your guts on a visit to Rohtang pass and Solang Valley; very few destinations in the world offer that much variety. As they say, the taste of the puddings is in the eating, you too should book a Himachal tour package from Delhi to experience this destination on your own. Fascinated by the interesting allures of this nature’s wonderland and looking for ways to explore it? 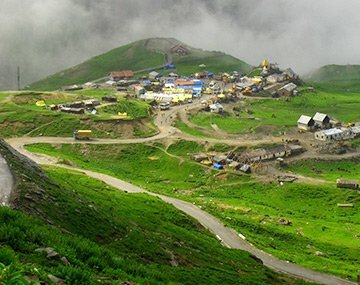 If so, we at BookOtrip has exciting tour packages for Himachal Pradesh. With several decades of experience facilitating travelers with their trip to Himachal, great alliance with major suppliers, and above all a passion to serve travelers to their satisfaction; we leave no stone unturned to offer discounted Himachal tourism packages. Managed and run by a team of trip experts, we at BookOtrip go the whole hog to make your experience as beautiful as the destination. You can book the package on your own or call our trip experts for assistance. Bookings made with the incorrect age of passenger/passengers may incur a penalty at a later stage. Tickets and vouchers will reach to clients two days prior to the date of departure/travel. In case of the hotel unavailability alternate hotel will be provided. Transportation not on disposable basis. Supplementary cost will be applicable if the travel date is during national holidays, festivals, long weekends, Christmas and New Year period. Rates are subject to change in case of any changes in the rate of exchange, Govt. taxes etc. No refund for any unused service or meals. BookOtrip.in reserves the right to change/modify or terminate the offer any time without any prior notice. I am happy with the services provided by the BokOtrip and I also recommend it to my Friends.Thanks ! !